Mike Baker is the Director of Marketing at Lola.com, a super simple corporate travel solution. 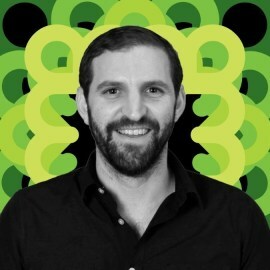 Prior to Lola, Mike built and led the content marketing teams at Crimson Hexagon and InsightSquared. Before entering the tech industry, Mike worked as a reporter, copy editor and feature writer at newspapers in Ohio, Florida and New York, where he covered the 2008 presidential election, higher education and more. In his free time, Mike is writing a book about the chicken nugget, which he swears he will finish. For the first time ever, brands are competing with journalists for scoops, storytelling, and eyeballs. Developing a brand newsroom can help you connect with customers, expand your reach, solidify thought leadership, and keep your finger on the pulse of information. Good news: You don’t need to secure seven-figure budgets and build out a big staff. In this session, two panelists will offer a few tips and advice on how to get started and get the "stories" flowing and budget going for funding. Followed by questions from attendees on challenges transforming your business into a publishing machine that attracts leads and customers in droves.